The Ambrosio Folding Bike Bag allows you to take your folding bike bag anywhere and everywhere. With a durable canvas material construction this great bike bag comes with a padded shoulder strap for comfortable carriage and also has the ability to be folded up into a neat little package when not in use. 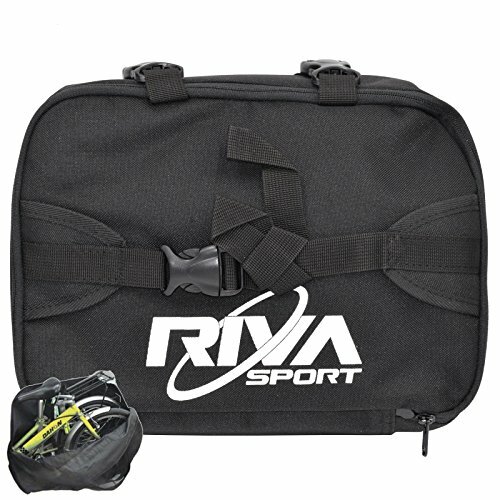 Folded size: 10" x 12" x 4"
If you have any questions about this product by Riva Sport, contact us by completing and submitting the form below. If you are looking for a specif part number, please include it with your message.